Asus has recently launched R510JX for high performance gaming at incredible price. 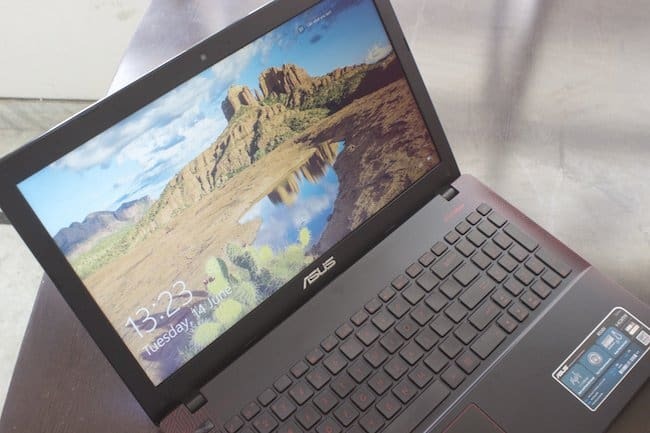 By introducing this laptop Asus has tried to grab the attention of those users who have interest in gaming but don’t want to spend too much for it. The R510JX can be considered as the basic laptop for gaming purpose which has high-end components required for latest graphic games and covers all aspects of gaming. 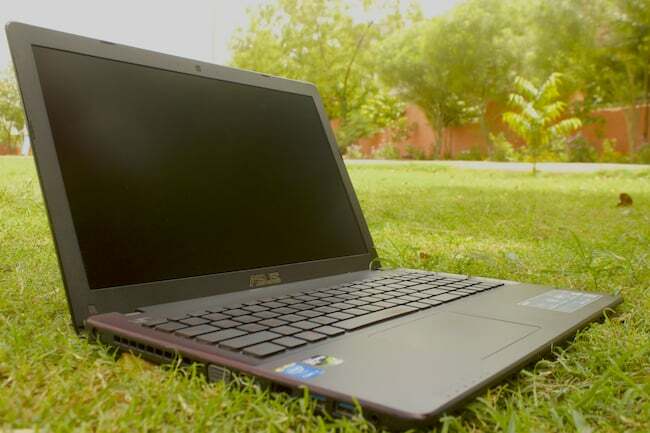 If you are looking to buy gaming laptop anytime soon, you can read the text review below and we have also created ASUS R105J detailed video review that will help you to make your decision. 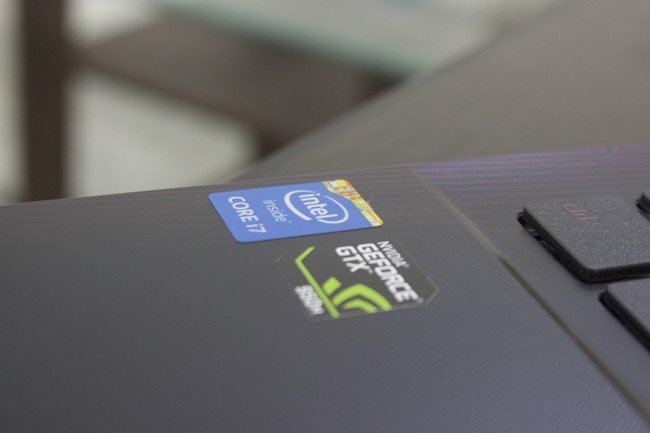 Design of R510J differs from Asus’ R.O.G series. The laptop has slim profile with a large touchpad and ergonomic keyboard which makes your typing experience more comfortable and responsive. A better chassis with the color combination of black and red gives an elegant look to the laptop. It comes with 15.6″ LED screen with glossy finish and HD 1080×1920 display resolution that gives you a suitable viewing experience almost every time. Weight of the laptop is almost 2.4 Kg. The Anti-Glare screen has a matte finish that reduces the glare from fluorescent and sun light and helps in better viewing in high-glare situations. 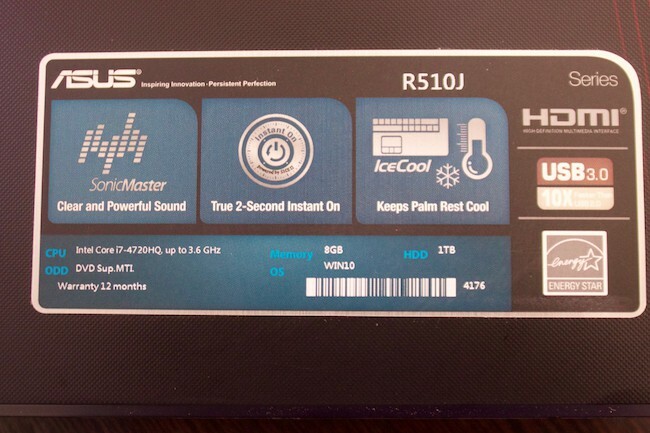 When it comes to performance, the cool specifications of ASUS R510JX does wonders. The laptop is powered by an Intel Core i7-4720HQ quad-core processor. It comes with 1 TB internal memory and 8GB RAM in dual channel mode (4GB replaceable memory module and 4GB chip on the motherboard) looks enough but lack of SSD increases load time due to low data transfer rate. Asus R510JX also includes latest Wi-Fi 802.11b/g/n and Bluetooth 4.0 for better connectivity. It sports the Nvidia GTX 950m graphics card with 3GB DDR3 memory which is slightly better than previous GTX850m in terms of power efficiency. With Windows 10 which is pre-installed, it can be considered as a combination of old windows 7 and 8 along with windows store apps and Asus utilities like WebStorage apps and splendid utility and has 64 bit architecture which has become a necessity for gaming now a days. They are providing free web storage to the new users of Dropbox and Microsoft Office 365 trial version is also available. 4-cell 44WH battery gives you the backup of about 3 hours which reduces by 1 and a half hour while gaming. There are always two sides of the coin and while reviewing any product we make sure that our readers get detailed review and know the positive and negative aspects. Talk about Asus R510JX, although it works fine while watching movies or playing music but gets hot during the gaming session also the SonicMaster technology and ASUS AudioWizard gives average experience for HD gaming. For all those of you who are interested to know how much you will have to pay for this laptop, let us tell you that the laptop is available at price of 70,990 but they are pretty good discounts going on Flipkart and Amazon. Ask us and we would say that R510JX priced at 70,990 is indeed worth going for. Especially if you are a gaming freak, you would definitely want to buy this laptop. 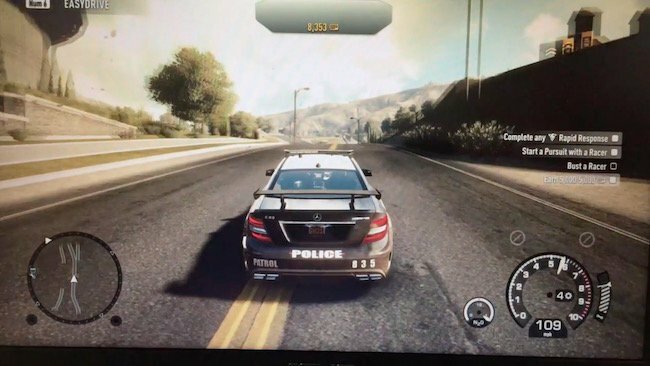 Its good looks along with satisfactory HD gaming performance altogether make it a best buy. 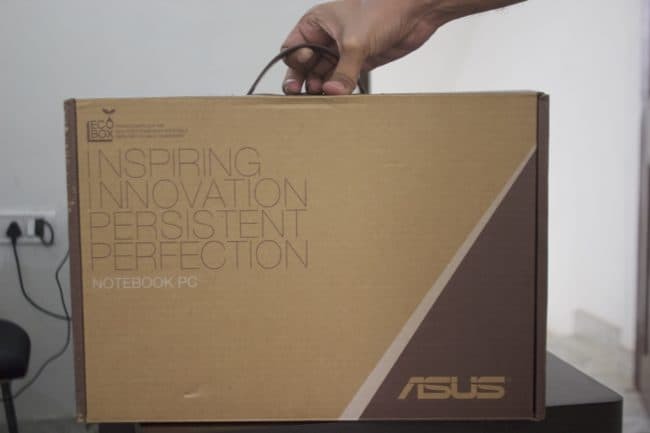 We have also created video on unboxing and detailed review ASUS R510J laptop which I’m sure help you to make a clear decision.